Maleic acid is also used to prevent rancidity in oils. 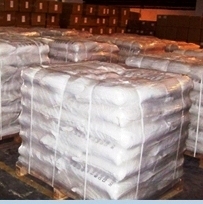 Maleic acid has become a new acidulant in food and beverage industry. It can enhance special fruit aroma and improve the taste in food and beverage. At the present time Maleic acid is mainly used in syrup, ready-tea, orange juice, sports beverage and other fortified syrup and food. 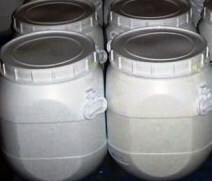 In addition, Maleic acid is mainly used to manufacture unsaturated polyester resin, pesticide, tartaric acid, fumaric acid, succinic acid, DL-Malic acid, dyeing auxiliary and preservative grease. Maleic Acid contains not less than 99.0 percent and not more than 101.0 percent of C4H4O4, calculated on the anhydrous basis. A: Dissolve about 500 mg of Maleic Acid in 10 mL of water: the pH of the solution is less than 2. C: Dissolve about 35 mg of resorcinol in 10 mL of sulfuric acid (Resorcinol solution). Dissolve about 100 mg of Maleic Acid in 10 mL of water (Test solution). To 0.3 mL of the Test solution add 3 mL of the Resorcinol solution, and heat in a water bath for 15 minutes: no color develops. To 3	mL of the Test solution add 1 mL of bromine TS, heat in a water bath for 15 minutes to remove the bromine, then heat to boiling, and cool. To 0.2 mL of this solution, add 3 mL of the Resorcinol solution, and heat in a water bath for 15 minutes: a violet-pink color develops. 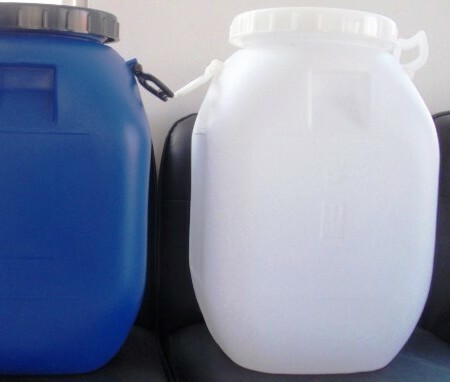 Dilute hydrochloric acid solution: Mix 27.5 mL of hydrochloric acid with sufficient water to make 1000 mL. Reference solution: Mix 2.4 mL of ferric chloride CS and 0.6 mL of cobaltous chloride CS with Dilute hydrochloric acid solution to make 10 mL. Dilute 5 mL of this solution with Dilute hydrochloric acid solution to make 100 mL. Test solution: Dissolve about 5 g of Maleic Acid in 50 mL of water. Procedure: Place the Reference solution and the Test solution in matched color-comparison tubes, and compare the solutions by viewing them downward against a white surface : the Test solution is clear and not more intensely colored than the Reference solution. Water: not more than 2.0% is found. Residue on ignition: not more than 0.1%, determined on a 1.0-g portion. Heavy metals: not more than 10 µg per g.
Limit of iron: not more than 5 µg per g.
Maleic acid contains not less than 99.0 per cent and not more than the equivalent of 101.0 per cent of (Z)-butenedioic acid, calculated with reference to the anhydrous substance. 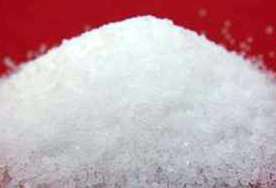 A white, crystalline powder, freely soluble in water and in alcohol. A. Dilute 5 ml of solution S (see Tests) to 10 ml with water. The pH of the dilution is less than 2. C. Dissolve 0.1 g in 10 ml of water (solution a). To 0.3 ml of solution (a) add a solution of 10 mg of resorcinol in 3 ml of sulphuric acid. Heat on a water-bath for 15 min; no color develops. To 3 ml of solution (a) add 1 ml of bromine water. Heat on a water-bath to remove the bromine (15 min), heat to boiling and cool. To 0.2 ml of this solution add a solution of 10 mg of resorcinol in 3 ml of sulphuric acid. Heat on a water-bath for 15 min. A violet-pink colour develops. Iron: To 10 ml of solution S add 2 ml of dilute hydrochloric acid and 0.05 ml of bromine water. After 5 min, remove the excess of bromine by passing a current of air and add 3 ml of potassium thiocyanate solution. Shake. Prepare a standard at the same time and in the same manner, using a mixture of 5 ml of iron standard solution (1 ppm Fe) R, 1 ml of dilute hydrochloric acid, 6 ml of water and 0.05 ml of bromine water. Allow both solutions to stand for 5 min. Any red colour in the test solution is not more intense than that in the standard (5 ppm). Heavy metals: 1.0 g complies with limit test D for heavy metals (10 ppm). Water: Not more than 2.0 per cent, determined on 1.00 g by the semi-micro determination of water. Sulphated ash: Not more than 0.1 per cent, determined on 1.0 g.